Sunday, August 26, 2018 - Nairobi Senator Johnson Sakaja has warmed many hearts after he kept his promise to a Nairobi man who was dumped by his girlfriend for being poor. The youthful legislator had attended a service at the Jesus Winner Ministry in Roysambu when he heard the man’s tribulations and decided to help. The man simply identified as Mwaura had been dumped by a lady he was betrothed to because he couldn’t afford a decent wedding. 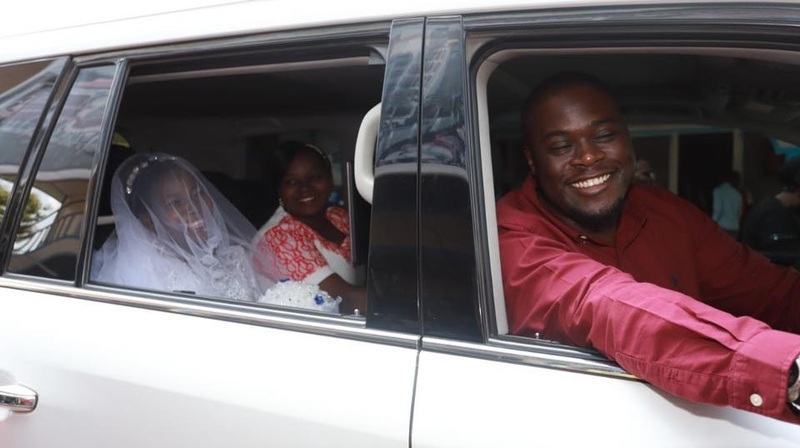 Sakaja gave the man Sh50, 000 to cater for his wedding arrangements and promised to have the bride and groom chauffeured in his car on their wedding day. The wedding went down today (Sunday 26) and Sakaja was not only present but also personally chauffeured the bride and groom in his pricy Toyota Lexus LX570 car to the church in Roysambu where the wedding vows were exchanged.